This is an exciting opportunity to help develop and secure the future of community radio within Cornwall. 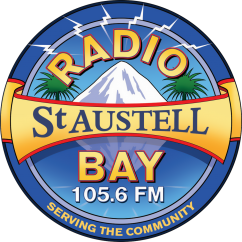 Community radio stations, Source FM and Radio St. Austell Bay (RSAB) are seeking a motivated person to help raise funds for joint projects that will benefit volunteers across Cornwall. Applicants should have a proven track record in fund raising across diverse income streams; excellent communication skills; the ability to build a close working relationship with Source and RSAB; a clean driving license; access to a vehicle; strong IT and administrative skills; an interest in community media and be passionate about how community radio can impact on people’s lives; as well as a good understanding of the current fundraising opportunities within Cornwall. The successful applicant will be self-motivated as this role will enable them to work from home to an agreed timetable. If appointed you will have the opportunity to be at the forefront of a number of exciting new community media initiatives within Cornwall. This post is a one year funded post, part-time initially starting at 15 hours per week (with the opportunity to grow to a full-time and permanent) salary £16.00 per hour.